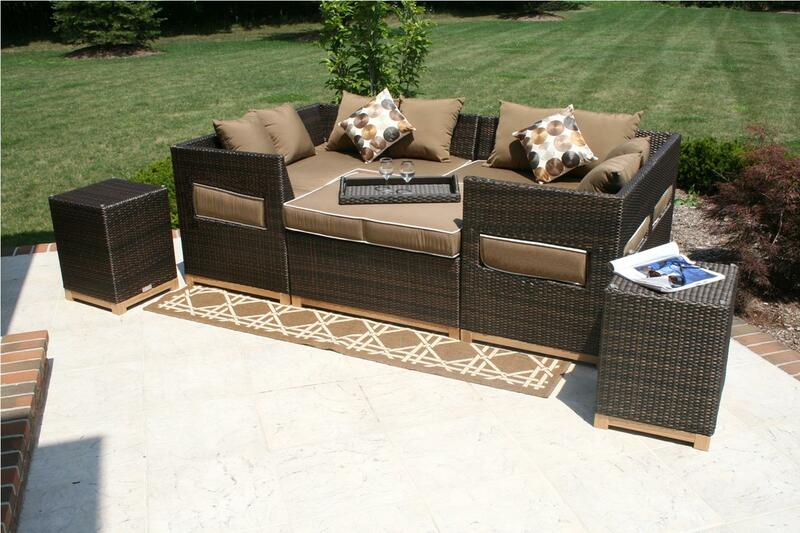 With the rich color and warm texture of Viro wicker and accents of FSC Grade A teak, the Tellulah Collection offers the ultimate in outdoor living. 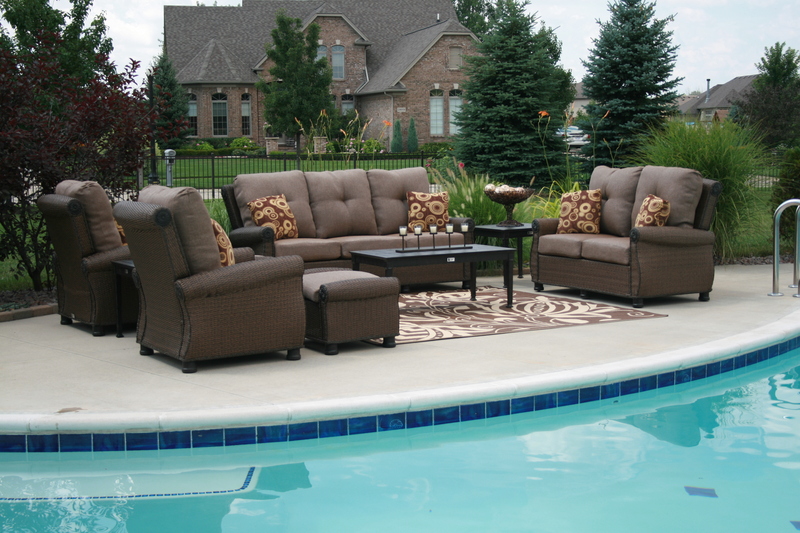 Functionality and style are joined to create this one of a kind collection. Crafted from a distinct large-scale premium synthetic vinyl, Tellulah provides unparalleled durability and functionality. The straight forward, clean design of this daybed/sectional collection features inviting, generous cushioning and deep seating for true extraordinary comfort. This seating collection is all about endless arrangement possibilities. Build a cozy corner, create intimate fireside seating, or team a pair loveseats with generously scaled occasional pieces. « WHY Open Air Lifestyles, LLC??? ?